The Dragon Girl Velvet Matte lip pencil by NARS is described as “vivid siren red.” This is one of my absolute favorite things at the moment. It is a beautiful, bright, pinkish-red. 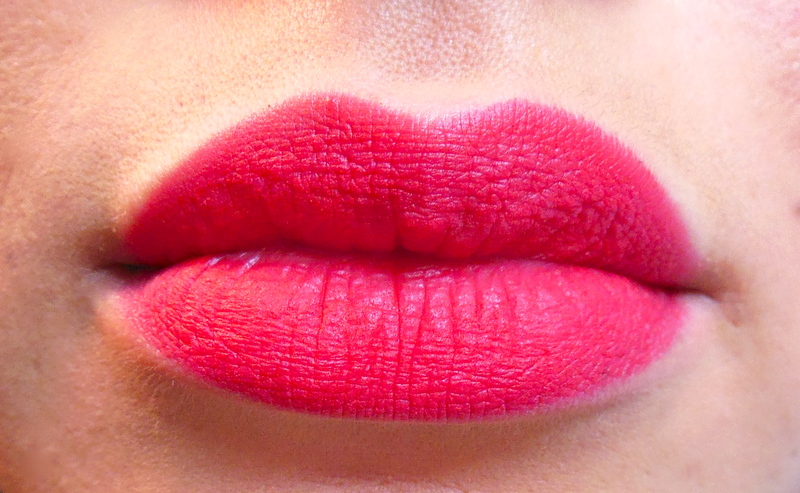 Wearing it alone, it almost looks like a stain on the lips, but is not at all drying. It is enriched with Vitamin E and just glides on and stays on. This pencil wears alone on me for about 4 hours without touch up. I topped it with the NARS Norma Lip Gloss here and it stayed through a whole work day with just a little bit of feathering around the edges. I can see this shade of red being flattering on several skin tones, and can be worn alone or under another lip product to change the look. That’s pretty sweet… I’m gonna have to give the NARS lip pencil a try… I don’t think any of the others have ever held up close to that long without drying out.